I’ve been in the personal development arena for over 30 years now. There are so many new procedures and scientific discoveries in the field of Neuro-Linguistic Programing (NLP) and the art of modifying personal behavior and outcomes. Basically, NLP is the name for reprograming your brain to succeed at any goal or ambitions you might aspire to. Author and life-coach, Tony Robbins teaches NLP in his workshops and seminars. I recently discovered an NLP technique that can be accomplished in as little as 15 minutes a day. In fact, this particular method is called the 15 Minute Manifestation. A gentleman by the name of Eddie Sergey made several discoveries that resulted in significant breakthroughs in personal development and NLP. These breakthroughs culminated in Mr. Sergey developing a product that literally permits you to reprogram your subconscious mind. This simple method of reprogramming allows you to manifest the life of your dreams. If I could only afford to choose one personal development product due to a tight budget, I’d unquestionably pick Eddie’s 15 Minute Manifestation. Simply because it provides something the other products can’t. Now, let’s dive into what this product really is and how it can affect your life by the simple act of fine-tuning your subconscious brain. At some point in most people lives, (me included) we all experience some level of serious financial turmoil. In many cases like this, we are worried, desperate don’t see any way out. No matter what we try, nothing seems to work and we simply don’t know what to do to fix the problem. For me, it was during the recession of the late 80’s. Unemployment was high, I hated my job and for a young family of six, things were very tight. I was in construction and paid by the hour. On days where there was no work, I did not get paid. I was desperate to do almost anything to earn more money and find a job I did not hate. I wish Eddie had made his discoveries much sooner. I sure could have used his 15 Minute Manifestation program back then. It would have saved me a lot of time and money. I eventually figured it out but it took many years to properly reprogram my brain and I spent hundreds of dollars on books, seminars and trainings to figure this out on my own. 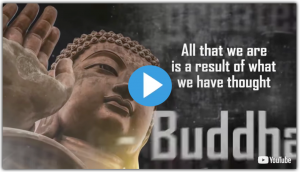 That’s why I got so excited when I came across Eddie Sergey – a multimillionaire entrepreneur who said he had cracked the code to reprogramming the subconscious mind and bring it into harmony with the conscious part of the brain. He calls it, “UPGRADING YOUR SOFTWARE”. Eddie’s system uses scientific understandings to synchronize our thoughts, and tune our brains to the tiniest of particle, the sub-atomic particle. He developed a way to refocus the energy waves around us to create a more fertile state of positivity in the brain. Eddie describes how “THE EDITOR” or the subconscious part of the brain restricts our abilities and distracts our attentions away from abundance. But, we can restore our minds to its natural state of abundance through proper Neuro-Linguistic Programing in as little as 15 minutes per day. But, what really impressed me the most was his personal story. He didn’t have an easy childhood and it’s quite remarkable how a young boy of just nine years old, was able overcome all the adversities in his life by using the techniques he discovered and developed since then. (You can see the video telling his story here). I won’t dwell on all the deep research Eddie accomplished regarding brain science and how he meticulously crafted the 15 Minute Manifestation with the help of a team of NLP and other experts. The point is that if you are looking for a product that can scientifically “re-wire” your subconscious mind, then you can have full confidence in the 15 Minute Manifestation. You simply listen to audio tracks that have all the Neuro-Linguistic Programing you need built right into each track. There’s no endless writing or reading of eBooks that, may provide some insights but frankly, will just bore you to death unnecessarily. When you access the program, you listen to the first audio track for 15 minutes a day for a week. Those 15 minutes will prove to be the best investment of your life. Most people fell the change within the first week or two. You can easily complete course in 21 days. 15 Minute Manifestation is NOT some abracadabra or hocus-pocus nonsense. It’s NOT one of those silly, rehashed, gobbledygook programs that just fool people into wasting their money. In fact, 15 Minute Manifestation comes with a 100%, full year (365 days), no-questions-asked, Money Back Guarantee. I’ve never seen a warrantee like that. There are some down sides that you should consider BEFORE you buy. 15 Minute Manifestation only produces the intended results when you follow the course as outlined and spend the time and effort to listen to the audio tracks daily for the entire 21-day period. You may be able to feel some changes earlier but, if you believe in overnight results, then you’ll be disappointed. There is no such thing as overnight success. It takes work and consistent effort. But, I’m sure you can find 15 minutes a day to success if you rally want to bad enough. So, if you’re one of “those people” who collects systems and programs but never follow through or do anything with the information you get, I would say, don’t waste the money. The 15-minute manifestation program is designed for those who are dedicated and serious about improving their lives and living their dreams! I hope that helps. NLP is a intriguing technology and Eddie’s approach is ver intriguing as well. He explains it better and in much more depth in his fascinating video on the topic. Good luck. I think you’ll enjoy the training the video provides and that it helps you live the American Dream. For the record, these musings are my own personal thought. They are not authorized or approved by 15 Minute Manifestation or Eddie Sergey. Next Post:The Secret To Happiness Revealed! You are really good and the site is amazing. Your unique content is masterful. You have done a excellent job on this topic!